It was in early August 2016, as bulldozers desecrated grave sites and sacred lands along the Cannonball River on the Standing Rock Sioux reservation and private security unleashed attack dogs on water protectors, that it became clear that our efforts to stop the Dakota Access pipeline through our moral, Tribal treaty rights and environmental arguments were becoming less and less effective. Just one day before the mass desecration, the Standing Rock Sioux Tribe’s historic preservation officer handed to a judge a detailed map of where these burial sites and sacred sites were located. To Energy Transfer Partners, the Army Corp of Engineers and the State of North Dakota, the destruction of the bones of our ancestors, sacred sites, violation of Treaty rights and the contamination of our drinking water were simply not compelling enough reasons to not build the massive oil pipeline. That said, our resistance is not in vein. Because of Standing Rock and our united front opposing the DAPL many non-indigenous peoples have been awakened to the continued repression of Native peoples at the hands of the United States government and the fossil fuel industry. While this awareness has not stopped oil from flowing through the pipeline it has expanded our resistance and diversified our tactics. It is abundantly clear the federal, state, and local governments, as well as the oil giant Energy Transfer Partners and the banks financing the pipeline, do not care about our moral, environmental, human and Tribal rights. However, they do care about money. In this instance the old adage is true, “Money talks.” So we shift our tactics and direct energy towards getting individuals, Tribes, universities, and cities to divest from the banks, like Wells Fargo, financing the Dakota Access pipeline. We’ve made significant strides forward working with members of the Seattle city council, in particular councilmember Kshama Sawant, to craft an ordinance to end Seattle’s $3 billon per-year relationship with Wells Fargo. From the onset of this movement we have been clear that simply ending the cities relationship with Wells Fargo and shifting city funds to another Wall Street bank equally involved in financing the Dakota Access pipeline—as well other human, civil and environmental rights abuses, is not a victory. An effective movement for divestment is intersectional and acknowledges the relationship between problematic banking institutions and the continued oppression of indigenous, black and brown peoples both local and globally. 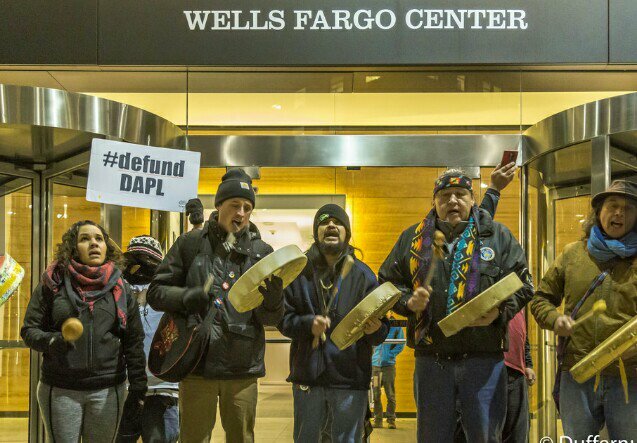 The Dakota Access Pipeline is not the only reason for the City of Seattle to end its relationship with Wells Fargo (and other disreputable financial institutions). Wells Fargo is a major financer of the GEO Group, a private prison company profiting off the mass incarceration of Black and brown peoples. They’ve also engaged in unscrupulous and predatory banking and lending practices targeting predominately students and low-income communities of color. In February, Seattle made history as the first city to divest from Wells Fargo. 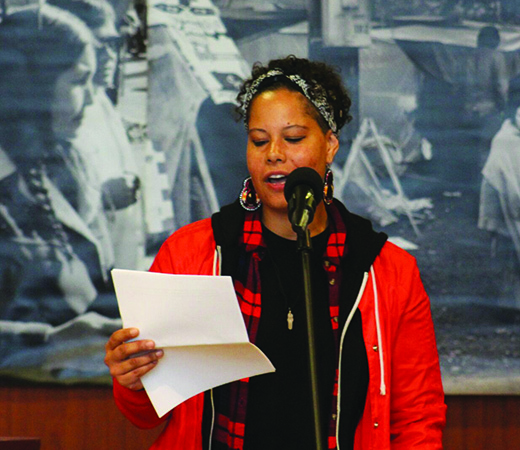 Organizers from the local Native community with support from allies, launched the Mazaska Talks global divestment movement successfully. Soon after Seattle divested a rip tide of global momentum took hold with individuals, cities, universities, and tribes all taking similar action to divest. The immediate question following the Seattle vote was who should Seattle bank with given other Wall Street banks are equally disreputable in their practices? The answer being the city needs to create its own municipal bank bank free of Wall Street influence where we can ensure Seattle’s money is not used to finance human rights violations, pipelines, private prisons, or immigration detention centers. A municipal bank where we can see the City’s money, our money, re-invested into the people of Seattle; a bank where its first and primary mandate is the public interest of our city and its residents; a bank guided by and invested in the values of our “progressive” city. A municipal bank sounds exciting, but is it even possible? Yes, we are not the first city to consider this. It can be done and we, Seattle, are on our way to do it. 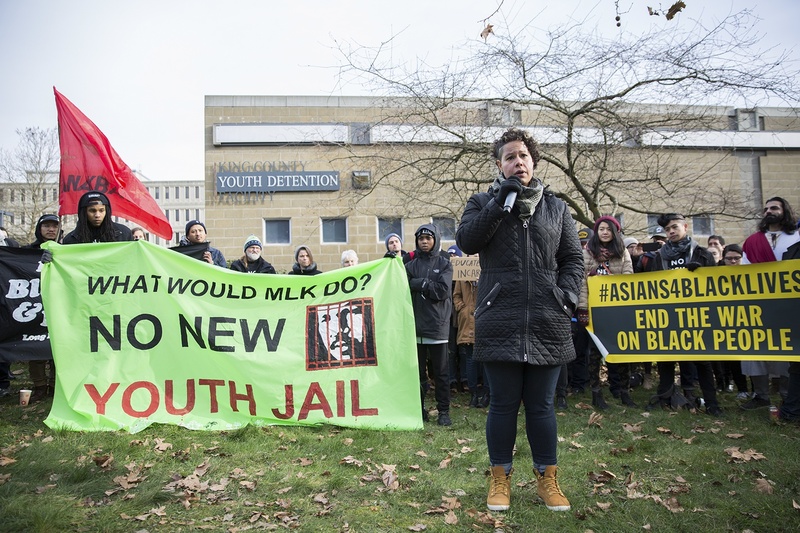 This last budget session—in partnership with environmentalists, prison divestment organizers, and members of the Native and Black communities—the Seattle City Council approved $100k to complete a public bank study. The goal of this study is to investigate the feasibility of a municipal bank, the benefits, and how this shift will provide Seattle with more financial capital to address crisis such as affordability, housing, and homelessness. This is about so much more than a publicly owned city bank. This is about our vision, our values, and, most importantly, our shared future and existence. First peoples own, occupy or use about 25 percent of the world’s surface area, and yet safeguard 80 percent of the world’s remaining biodiversity. The continued resistance of indigenous people has awakened many non-indigenous peoples’ sense and desire to live in ways that protect our natural resources and our shared human existence. Resistance and divestment are not enough. We must also build the world we most need to see. This includes establishing shared financial institutions which, like us, also protect our natural resources and shared human existence. Our future–all of our futures–depends on it. 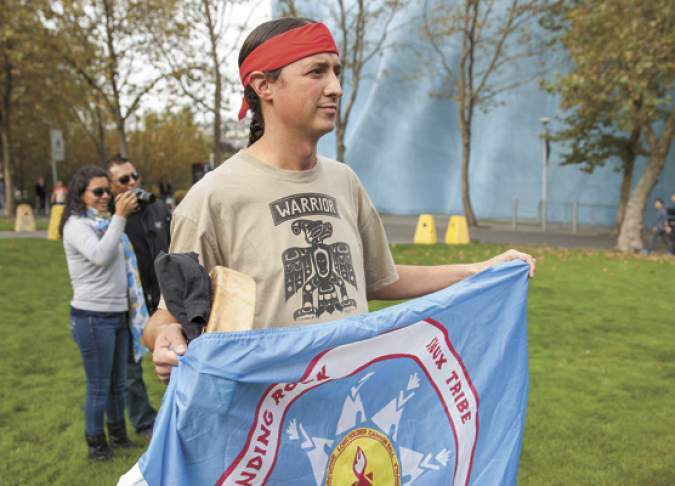 This entry was posted in Visionary Leadership and tagged Dakota Access Pipeline, Divestment, Kshama Sawant, LRInspire, matt remle, Nikkita Oliver, Public Bank, Seattle, Seattle City Council, South Seattle Emerald, Standing Rock Sioux Tribe by lrinspire. Bookmark the permalink.